Hi fellow readers and welcome back for another booktuber/blogger interview. This fortnight's booktuber/blogger is Nadia from NadiaReads, the linguist master - seriously she speaks like a million languages! Nadia does a great job at mixing her language skills with her love for books and includes videos in different language (see her Book Lover's Survey in Greek - with subtitles video). 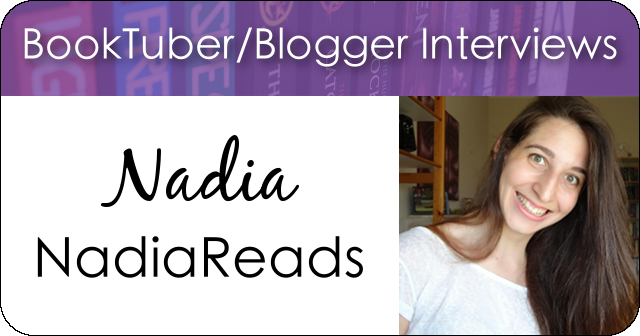 Here's Nadia's answers to the BookTuber/Blogger Interview Questions. Enjoy. Please describe your channel and the type of books which you enjoy reading. My channel is, of course, all about books! I usually do wrap up videos, tags, hauls, to-be-reads, reviews etc. I’ve also started doing some discussion videos, which I enjoyed very much and plan to do more in the future! I mostly read Young Adult books (Surprise! Surprise!). It’s a genre that I’d been reading even before I started booktubing, but got a lot more into it since I started. It’s hard to say no when everyone is talking about how amazing a book is! What made you decide to start your channel and what are the main reasons you keep making videos? After that I also discovered book blogging and got into that, so by now I’m so deep inside this ￼world filled with crazy book fans that I can’t find my way out! Not that I want to, of course! I ￼love interacting with other booktubers / book bloggers from all around the world and finding ￼out about new books and adding them to my ever-growing to-be-read list. If you could read one genre for the rest of your life, which genre would you choose? I would probably pick Young Adult Fantasy. 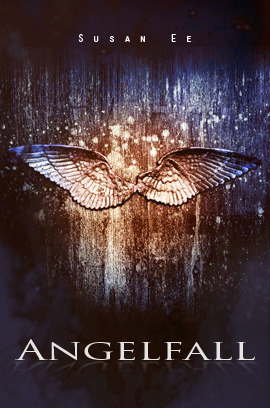 Even though I’ve been reading many different YA ￼genres lately, fantasy is the one that I always fall back into. I prefer it to Dystopian because it ￼keeps one foot in the real world, so to say, which makes it easier for me to relate to. If you could live in any book world created, which would you choose? Oh, dear! I’d probably avoid all those crazy dystopian worlds. The possibilities of dying are too high for me... Hell, I’d even stay away from most fantasy worlds! I don’t need any vampires or bloodthirsty zombies hunting me! 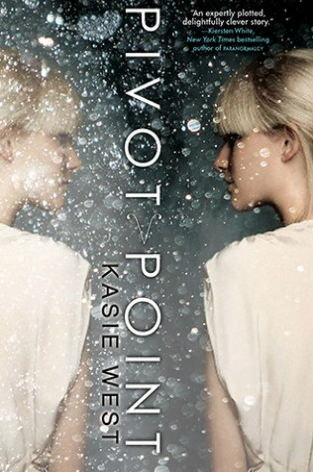 Maybe I would go with something like Pivot Point by Kasie West. It’s quite similar to the normal world, but with a few paranormal elements here and there to make it more interesting! What has been your best/favourite booktubing moment so far and why? Oh there are so many of them! One of them would definitely be doing a liveshow along with Ivymuse, marlinelina and Helene Jeppesen. It was something I was scared to do, because I can’t always think of things to say on the spot, but it turned out great and I loved interacting with those ladies! Where do you store/show-off your books and how many do you own in total? I actually have some of them in my mom’s house, some in my dad’s and some in my own. It’s a bit annoying and I’ve been trying to get them all to my own place, but books are heavy and I can’t transport a lot of them at once. According to Goodreads I have a total of 120 books. 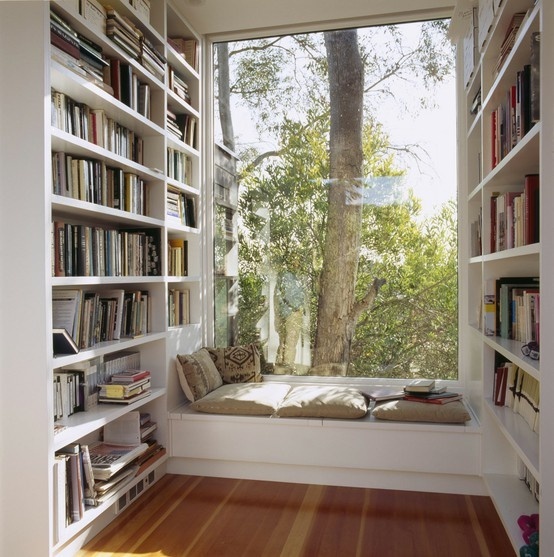 Where is your usual place to read and what would your dream reading place look like? My usual place is on my couch or on my bed. In the summer I also love reading on the beach!My dream reading place would probably look kind of like the photo opposite. Lastly, which blogs/channels can we usually find you stalking when you're not creating content for your own channel? ￼Some of the blogs are: Nose Graze, What Comes Next, Gypsy Reviews and ￼￼￼Cuddlebuggery. And some of the Booktubers: Katytastic, Megan Olivier, MegaMad4Books, mysecretbookclub, polandbananasBOOKS and of course ColdTeaAndCrumbs. Thanks so much for having me over Samantha! Thanks Nadia for taking part in my BookTuber/Book Blogger series. Thank you for taking the time to read this post and leave a comment. ©ColdTeaAndCrumbs. All YouTube videos, photography and written content from this blog are my own and copyrighted unless otherwise stated. If you would like to use anything produced on my blog please contact me, I am always quick to respond. Thank you. All book synopsis/descriptions are from Goodreads and book cover images are usually from my Kindle, Goodreads or a Google Image Source. UK legislation now dictates that any website hosted within the UK or serving UK customers must now display a cookie disclaimer. 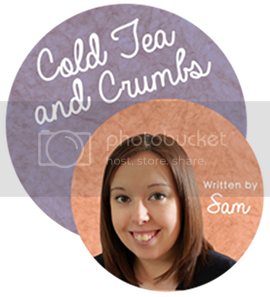 This site, Cold Tea and Crumbs, uses Google Analytics to track visits and visitor behaviour. These statistics are only viewable and usable by the blog author, Samantha, and will not be advertised or sold to third parties. You have the ability to accept or decline cookies using your web browser, however please be aware that this may negatively affect your experience when using this site. Cookies can be removed or declined by changing your web browser settings. For more information please visit www.allaboutcookies.org.